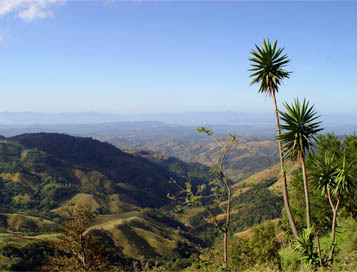 The Republic of Costa Rica is one of the most prosperous and industrialized countries of Central America. Its government is similar to ours of the United States, while it has no standing military. Its land is beautiful and diverse, and the people are culturally and ecologically aware. What more could you ask for from a place you’d like to call home? Oh yes, and its properties are the cream of the crop. As far as becoming a resident of Costa Rica, Dominical Real Estate can assist you only so much. We can help you purchase property here. The legalization and official business beyond that is out of our expertise and services. As to be expected, there are requirements and processes, but nothing to deter you from living out your dream. Regarding what we can do for you, it’s an exciting endeavor. A piece of paper doesn’t make a place your home, a house does; and beyond that, where you long to be. If that’s Costa Rica, then allow us to take you home. Let us introduce you to the possibilities. No one says you have to know what the plan is prior to purchasing property internationally. Maybe you’d like to use it as a vacation home for a while. If at some point you decide to make things more permanent, it can be on your time. Until then, you won’t value the home any less if you aren’t a resident of the country in which it stands. Arrangement and technicalities aside, owning property in Costa Rica is a remarkable asset. You can’t assign a price to it. You can certainly live to experience that worth though day in and day out, whether it is a week or month at a time, or for as long as you’d like to imagine. Take a look at what’s available in the real estate market, and go from there.